Late 2013, I was at my heaviest and decided I needed some lifestyle change. I took the longer and better route: signed up for a gym membership and drastically changed my eating habits. Slowly, I was shedding off pounds and feeling more energetic. I've never felt better in my life! Hahaha! But old habits die hard. When I'm too tired from work, I skip preparing my meals and resort to fast food deliveries. And before I realized it, I'm gaining weight again. 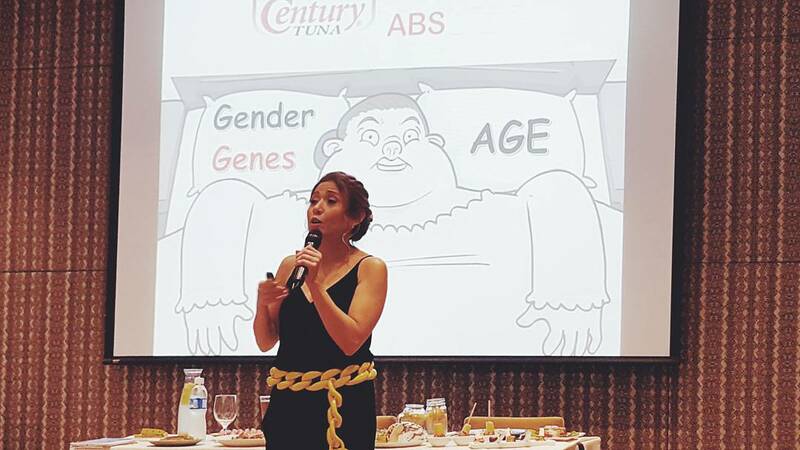 I was able to attend Century Tuna's Superbods Abs Plan Book launch last month. 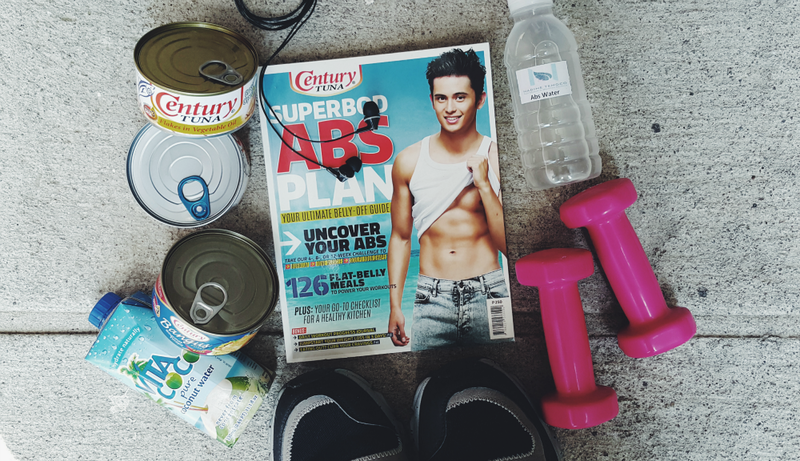 Since the brand Century Tuna has always been synonymous to being fit and healthy (remember that John Lloyd Cruz Superbod Challenge campaign they had before? ), I figured this could be a chance to learn on how to deviate from this yo-yo dieting permanently. 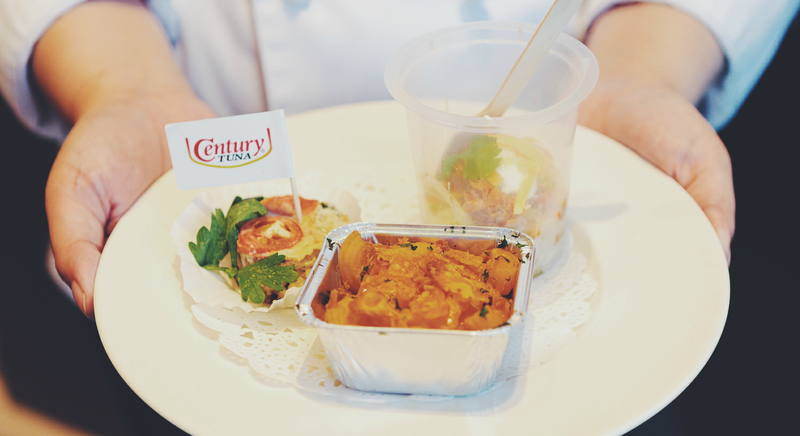 We were first served these samplers: Century Tuna Mac ‘n’ Cheese, the Century Tuna Tex-Mex Salad and the Century Smoked Bangus and Spinach Frittata. I personally dig the Tex-Mex Salad. And surprisingly, you can have these flavorful treats while on the plan! Many people search the Internet for fitness programs and food plans. While there are plenty of tips, tricks, and health advice you can find online, there isn’t a central source where you can find this information. “Plus, most of these materials you find online are foreign,” says Gregory Banzon, Century Tuna’s Vice President and General Manager for Domestic Tuna and Global Branding. This is one of the reasons why the Superbod Abs Plan was born. “This book is made by Pinoys for Pinoys. All the information you need about getting those abs are here.” Banzon adds. Nadine Tengco's (the food coach to the stars!) discussion about the culprits of weight gain (especially for women) was very enlightening and informative. I was acquainted with the healthy type of unsaturated fat, the Omega-3s and the MUFAs (or mono-unsaturated fatty acids), which are the types of fat that we actually need because of its advantageous effects to our bodies. Century Tuna brand ambassadors, James Reid and Jessy Mendiola, also attended the event. The book comes in 2 covers featuring these celebrities. James mentioned that he has not been able to go to the gym as much as he did before (6x a week) due to his uber busy schedule, so to maintain his physique, he still incorporates some of the easy workouts from the plan and of course, eat healthier options. Jessy candidly answered queries on how she still preserves her fit figure; she mentioned that it still takes a lot of control and hard work to achieve our goal bodies. 1. There's already a 'nutrition calendar' that you can refer to for the entire 3 phases of the plan. So there's no more hassle of coming up with a week's the entire menu! 2. There are a chock-full of recipes (designed by Nadine Tengco) so there's the guarantee that you won't be eating the same, bland food every week. From salads to smoothies to breakfast meals to Mexican rice! Such a wide array of choices that don't focus only on Century Tuna products. 3. The pantry staples and kitchen essentials list! Love, love this! Most of the time, I make do of what I have in my kitchen, but most of it's not really the healthy kind. With these lists, I can make a quick trip to the supermarket before I venture with the plan. 4. At the end of each phase, there's the Eating Out is Part of Life part, which zeroes in on the dos and don't when dining at restaurants. Could this be more perfect? 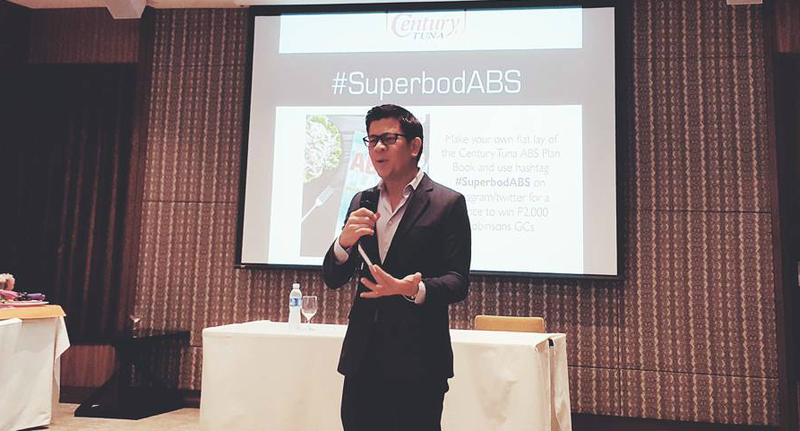 The team behind the Superbod Abs Plan also made sure that the workouts are easy to follow through photos of our very own celebrity talents and Century Tuna Superbod winners demonstrating the exercises (outlined by fitness coaches Jim and Toni Saret). Coupled with the healthy meals and snacks contained in the book, everyone could be well on their way to having a healthier, sexier body. I'm so excited to start over again maintaining a healthy lifestyle because of this book! Getting abs is nowhere near the horizon for me (haha), I just want to get in the habit of making the healthier choices. As Nadine Tengco said, "Abs are made in the kitchen!"